Savvy Spending: My Coke Rewards: 50 free Shutterfly 4x6 prints when you enter one code before 5/3! My Coke Rewards: 50 free Shutterfly 4x6 prints when you enter one code before 5/3! 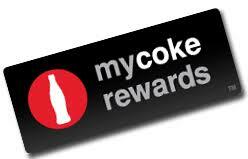 My Coke Rewards is offering a 50 FREE Shutterfly 4×6 Photo Prints when you enter ONE product code before May 3, 2018. Limit one deal per person.